I know its not a big bike. But its one I have been watching because...face it, we all need more than one bike. So I wanted to start this thread off with a video from the launch event in PNW. Not a big bike but given it's one of just a few street legal 450's I'm sure it's going to be kitted out for adventure travel. Adventure travel? Having ridden one for a full day, it wouldn't be my choice for that. It's a dirtbike with a plate, where Honda filled off the rawness and beastiness of say, the KTM 500. It's a least 90% the performance, just more refined, smooth, & quiet. I love KTM and while I've had no issues with those I've owned, if you did a reliability poll between the two brands, Honda would win out, no question about it. And, they will cash in on that. All things said/done, I like the 2019 CRF450L very much. Had a blast riding it hard all day and parked it with a smile on my face. 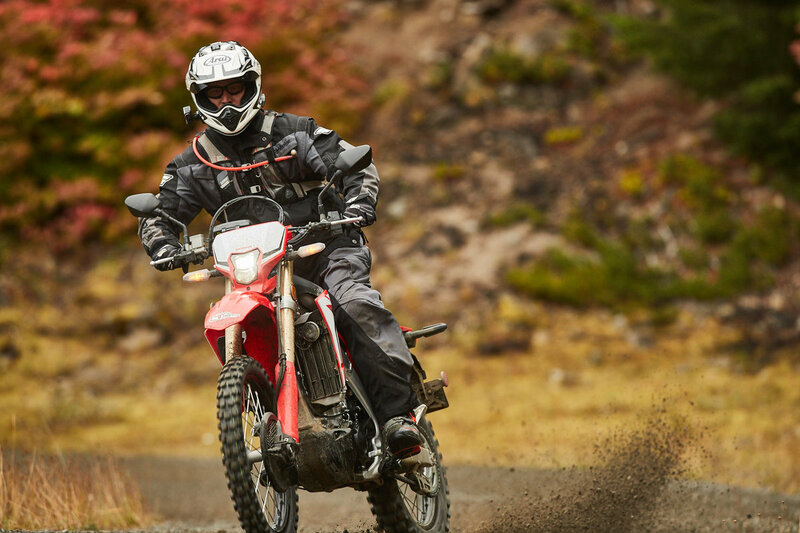 Its very much a trail to trail performance dual sport, but for travel? At least for me, it wouldn't be more than maybe an hour each way to the trails stock and that might go up a bit with a comfort seat. If you're someone with trail access 30 minutes or less from your house, that's the sweet spot. But then again, people travel on stuff I wouldn't, so who knows what it's capable of with different attitudes, needs, and preferences. Jimmy never minces words, does he? "a few dingbats with influencer credibility"
Sorry, but this thing is a tanker! I'll stick with my plated XR650R, which is about the same weight and will wheelie away from it. I have a 450L. It does have snappy throttle response. Easy first second and third gear wheelies. It will break traction easy on wet pavement but you can wheelie on wet pavement which is good technique training. It is a good platform to enhance my riding skills, so was my BMW S1000XR. This bike feels like a supermoto on the street, light. I have a 450L. It does have snappy throttle response.